Whilst at The Baby Show I got to see the brand new range of spill-free cups that have launched recently. With three different stages; Weaning 4m+, Training 7m+ and Active 12m+ and a choice between types of lids to suit your child. 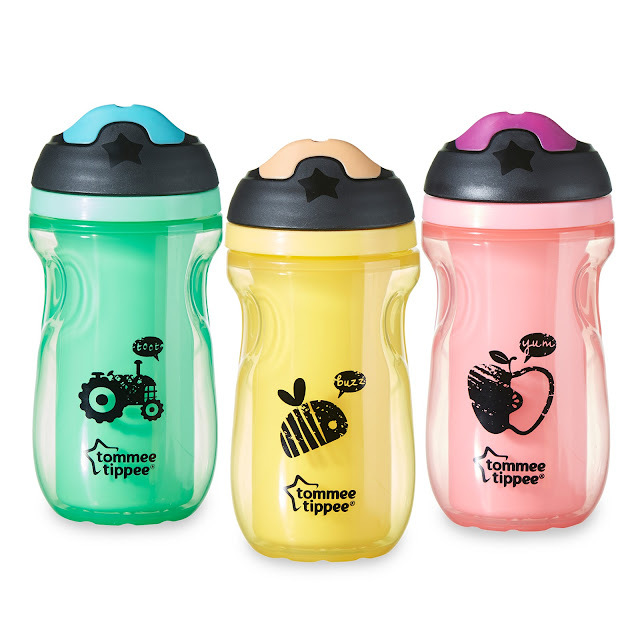 Whether your child prefers sippee cup or a straw cup you can pick or choose which you prefer and get the benefit of the non spill valve in all of them. 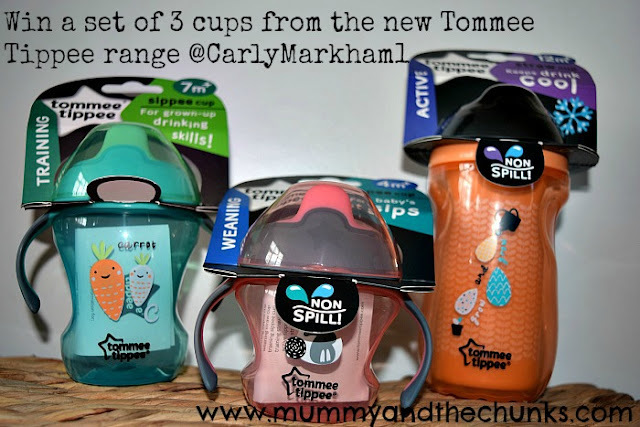 Tommee Tippee have given me three different stage cups to give away in a competition. You can find out more about the cups below and don't forget to enter the competition at the bottom of the page! When your little one is ready to move on from the bottle this is a great starter cup. A super soft spout is gentle on your baby’s sensitive gums and easy-grip handles fit perfectly in their tiny hands. You’ll also love the non-spill valve that keeps baby, and everything nearby, nice and dry. From 7 months your little one will be sitting up, playing and maybe rolling and will need extra hydration, so a bigger cup is a must. 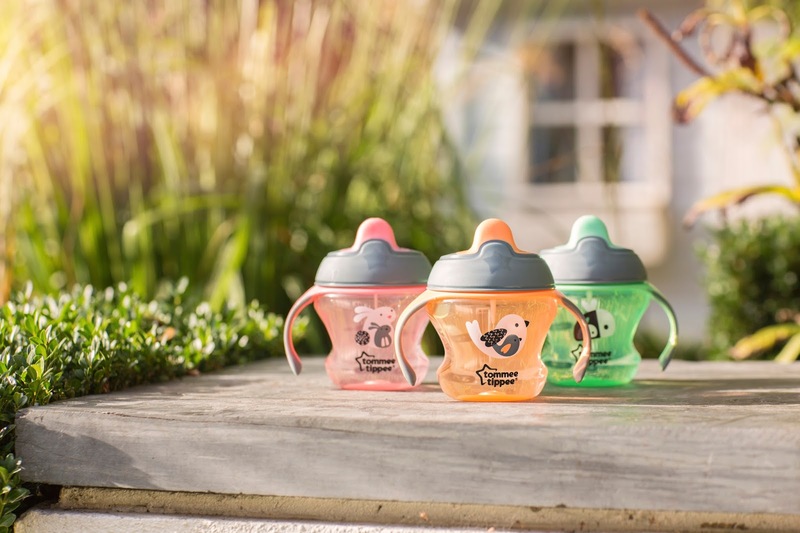 The soft spout and easy-grip handles on this one help your little one develop grown-up drinking skills, and the non-spill valve keeps them dry as they learn. Every baby is different so you may like to try a straw cup instead, to help your little one develop grown-up drinking skills. When you’re out and about the straw flips down to stay clean and prevent spills and the soft straw on this cup is smooth and gentle on teething gums. Insulated to keep drinks cool, the largest sippee cup in the range is perfect for busy toddlers on the go. The easy-grip sides, soft spout and non-spill valve mean it’s really easy to grab and drink. If your toddler prefers drinking from a straw, the largest straw cup is insulated to keep drinks cool. With easy-grip sides and a soft flip-up straw, this is the perfect cup for busy toddlers. When your little one gets really active it’s sports bottle time! Easy-grip sides and a leak-proof spout help your busy toddler stay hydrated all day, every day. All you need to do is keep up! Follow the instructions on the rafflecopter form below making sure to enter correctly to avoid your entry being disqualified, also don't forget if you are commenting as anonymous to add your name into the comment so I know that it is you! GOOD LUCK! Open to UK only. The competition will end 27/06/2015 at 12am. All entrants must complete the mandatory entry on the rafflecopter form. Those who don't will have all entries removed. The blog owner will choose the winner through the rafflecopter form (which uses random.org) The winner will be notified by email and displayed on the widget. 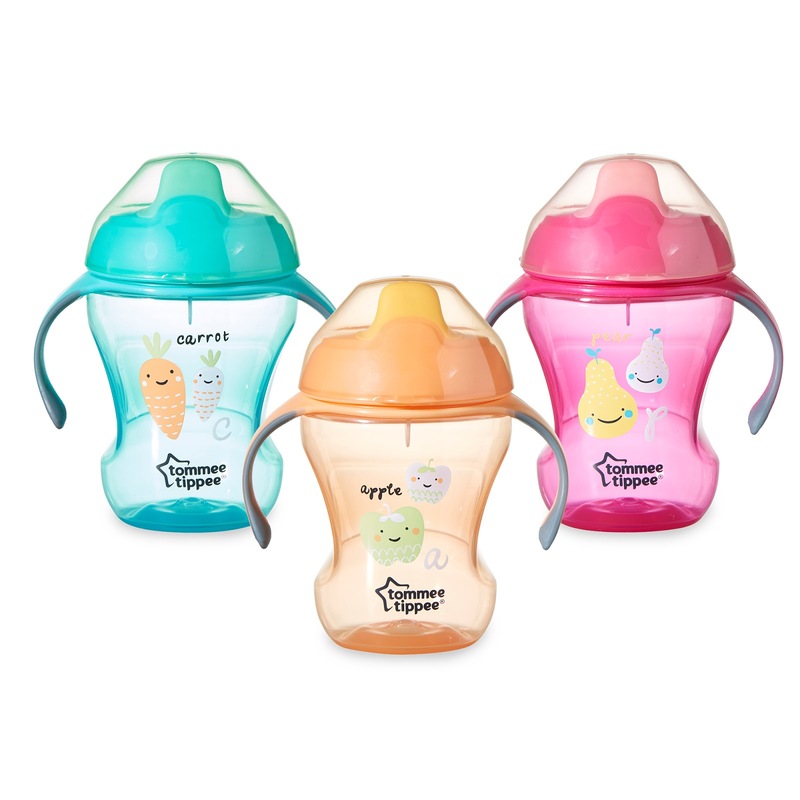 One winner will receive a set of three Tommee Tippee non-spill cups. The prize is the three cups featured in the competition image. No alternative prize will be offered. Allow up to 28 days for delivery. baby wipes I use them for cleaning shoes,cleaning up dog sick the list is endless . Wipes and pots of snacks! wet wipes! Always wet wipes! I think it would have to be baby wipes! They solve so many things! mess, make-up, spills! Some form of entertainment, such as an iPad. Baby wipes, lots and lots of baby wipes! Plenty of snacks and a collection of dummies! with four boys my essential is plenty of food. Wet wipes & at least one snack for my son! Baby wipes, they cover a multitude of accidents. Wipes, wipes, and more wipes!!! Know it's the standard answer, but it is true, baby wipes! the boys won't drink water - and I don't want them having too much processed juice and definitely not sugary fizzy drinks. Squash is not practical to carry - but the new super concentrated squeezy squashes that fit easy in the bag are a godsend to turn water into squash on the go. I recommend the vimto one. As everyone else says, baby wipes! however I also bring a change of clothes for my girls in the car as I always encourage them to get messy and enjoy themselves on days out. Never leave home without baby wipes. Theyre useful for everyone! Not sure. I would give this to a colleague if I won it. Baby wipes are a must have and snacks for my little one.